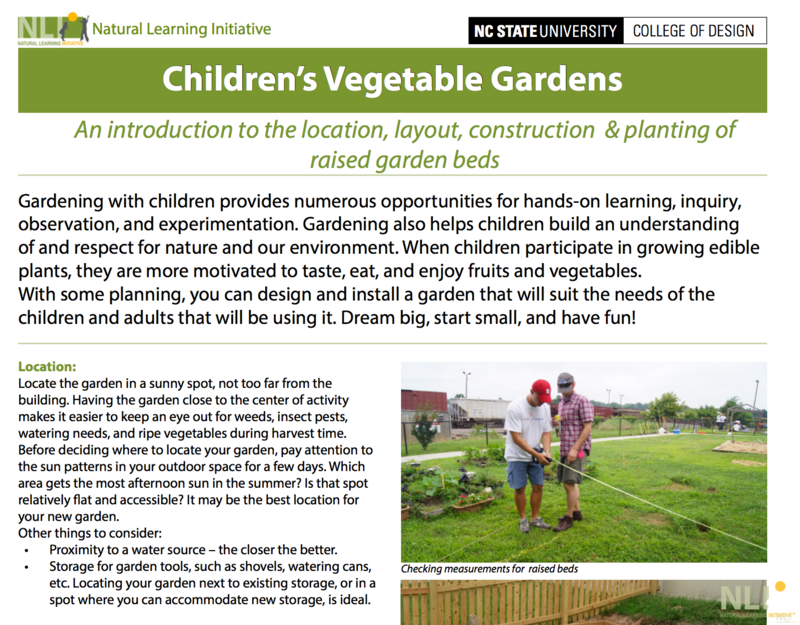 Gardening with children provides numerous opportunities for hands-on learning, inquiry, observation, and experimentation. Gardening also helps children build an understanding of and respect for nature and our environment. When children participate in growing edible plants, they are more motivated to taste, eat, and enjoy fruits and vegetables. With some planning, you can design and install a garden that will suit the needs of the children and adults that will be using it. Dream big, start small, and have fun!